Pragmatic Portfolios, LLC generally holds client meetings by appointment only. 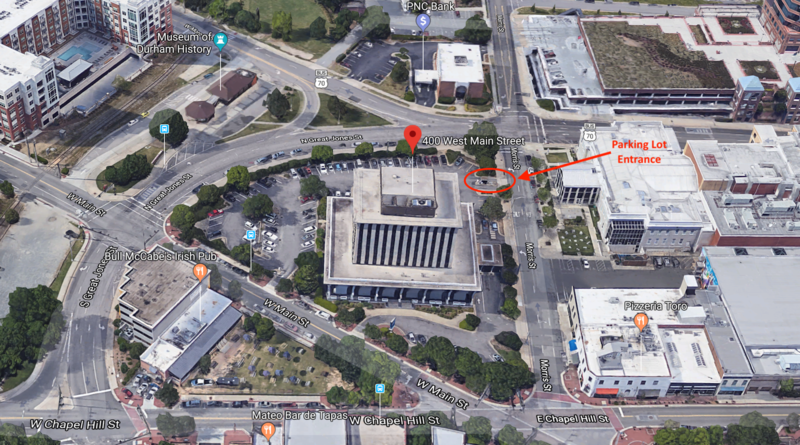 For in-person meetings I use private meeting space in Suite 404 of the SouthBank Building, which is at 400 W. Main St., Durham NC, 27701. It's a rather cube-like building located in the Five Points area of downtown Durham. Usually you can park in one of the dozen guest parking spaces marked with yellow lines. The gate attendant will give you a parking ticket that I can validate for you. If none of the guest spaces are available there is street parking around the building. Enter the SouthBank building, take the elevator up to the 4th floor and you can find me in Suite 404.